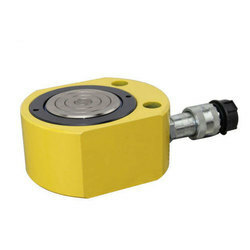 Pioneers in the industry, we offer flat jack hydraulic cylinder, hydraulic flat jack and low height flat jack hydraulic cylinder from India. Keeping in mind the diverse requirements of the clients, we offer a performance-based array of Flat Jack Hydraulic Cylinder. Our entire product range is widely used in construction and mining areas and is delivered in varied technical configurations. 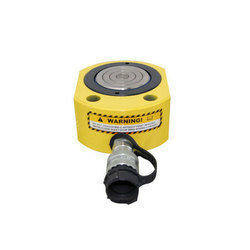 Flat Jack Hydraulic Cylinder is delivered in the well-defined period. 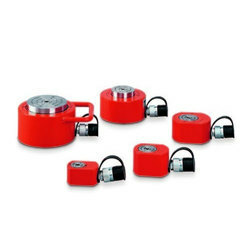 Hydraulic Flat Jack is compact, flat design to use where another cylinder will not fit, Baked enamel finish to provide corrosion resistance, Hard chrome plated high-quality steel plunger. Grooved plunger end does not require saddle, the stop ring avoids plunger overreaching.